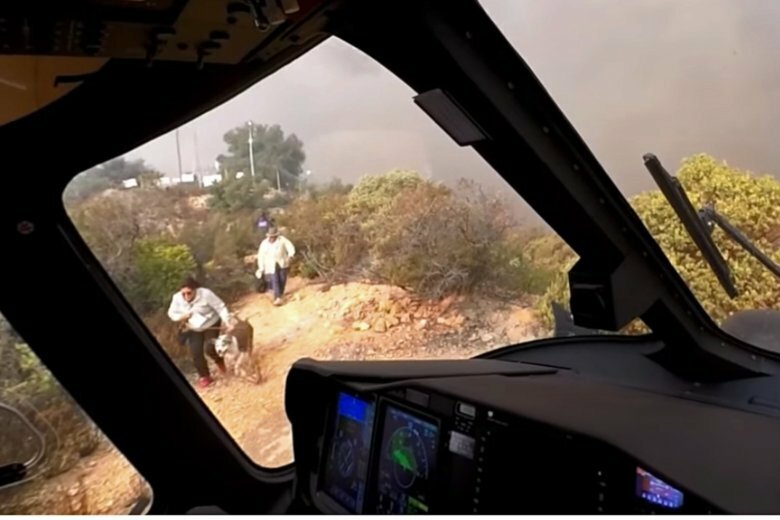 They finally found a tight and tricky spot on top of a ridge and Smith got out to help the people and their pets, including an English mastiff who was afraid of the helicopter and had to be coaxed by its owner to get on board. “That’s enough excitement for me today,” he said as they pulled away from the massive smoke plumes. Los Angeles fire spokesman Brian Humphrey said none of the people or animals was hurt. The video of their rescue has gotten so much attention, members of the public have been calling the department to make sure everyone was OK and to commend the pilots, he said. The department’s Facebook post of the video had more than 1,000 shares. “Brave, brave, brave,” she said.